New revenant families including the Rossellini, Kairouan Brotherhood, and more. New rules for ghouls and revenants including new Merits & Flaws, Backgrounds, Discipline Packages, etc. A Storyteller chapter for advice on running ghoul-or-revenant focused chronicles. Note on the Print Editions: Standard Color uses a different printing process than Premium Color. This usually means the colors are less vivid, but it also means the price drops a bit per page in the production process. 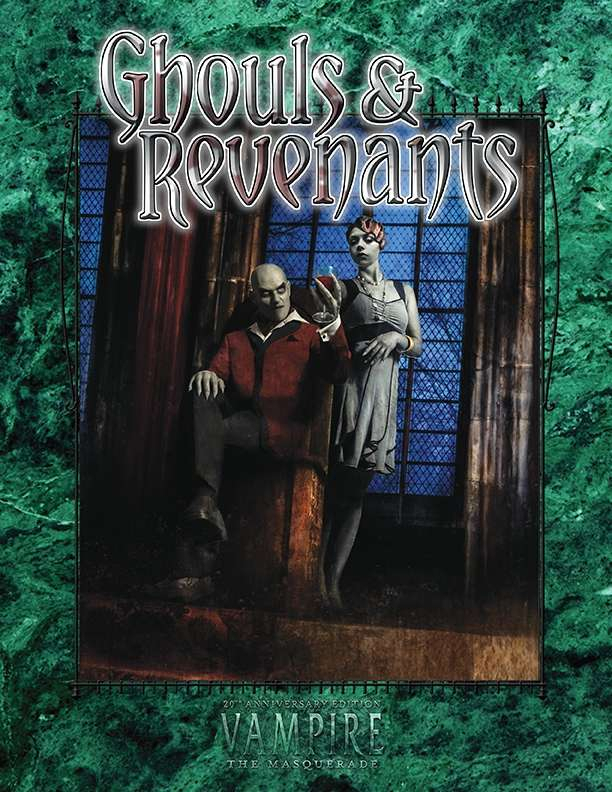 I'm pulling out my hair trying to find rules for how much vitae revenants generate spontaneously (is it one per week? One per month? ), but I can't find it anywhere in the book! Can any of you give me a page reference? Assuming it's unchanged from the mention in the main Vtm20th rulebook (on P.500) I think it is one blood point per day. Does this book contain any stats or rules for war ghouls? Yes. Both vozhd and szlachta. Patrick Threadgill deserves some sort of "keen observation" medal or trophy. Good hussle Patrick. Yeah really. Who would have thought that a book in the -V20- Line... would have mechanics from... the Vampire game.. from ... 20 years ago?? I mean... wow. Who'd have thought?? Even then, V20 has updated a lot of those mechanics. The review is misleading as it makes it sound like the book is using different mechanics than V20. I wish there was a way to reply directly to reviews.